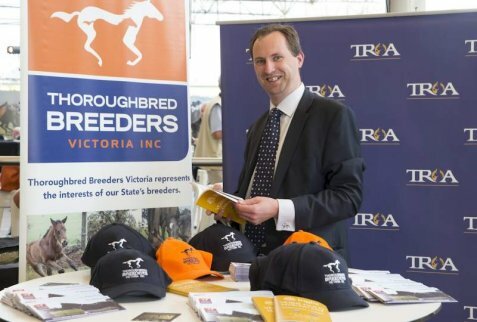 TBV’s Executive Officer Patrick Clancy will soon take up a national role with Thoroughbred Breeders Australia (TBA), while still maintaining his position at TBV. The new position will see him work between the two organisations from his base at the TBV office in Flemington. The focus of Patrick’s new role as TBA’s Director of Policy will include a national welfare policy, working on the new research & development levy and driving increased engagement between TBA and Australian breeders. In addition to this change, TBV are currently in the process of recruiting a new marketing and communications officer. It is expected this position will be filled in July in readiness for a busy Victorian breeding season. TBV President James O’Brien said the dual role situation to be held by Patrick was a win-win situation. “Since his appointment in July 2015, Patrick has taken TBV to a new level helping to significantly increase its engagement with members of the industry, attract major new sponsors and grow links with other racing bodies and governments. “Over the past two years, with Patrick on board, we have worked closely with Racing Victoria and secured the $1.5 m VOBIS Sires scheme along with the first increases to Super VOBIS bonuses in almost a decade. “Under the change at the TBV office, we will maintain access to Patrick’s expertise and passion for the industry while also employing an additional officer to help promote Victorian breeding and assist TBV members. “The Victorian thoroughbred breeding sector is going from strength to strength with major new investments by international and local breeders alike in quality new mares and stallions along with the upgrading of properties. “And the performances by Victorian bred horses on the track this season has been stunning with no less than 14 Victorian bred wins across Australia along with international Group 1 winners such as Lucky Bubbles. “And you can’t go past the fact that the winners of the past two Golden Slippers were sired by stallions standing in Victoria this year.